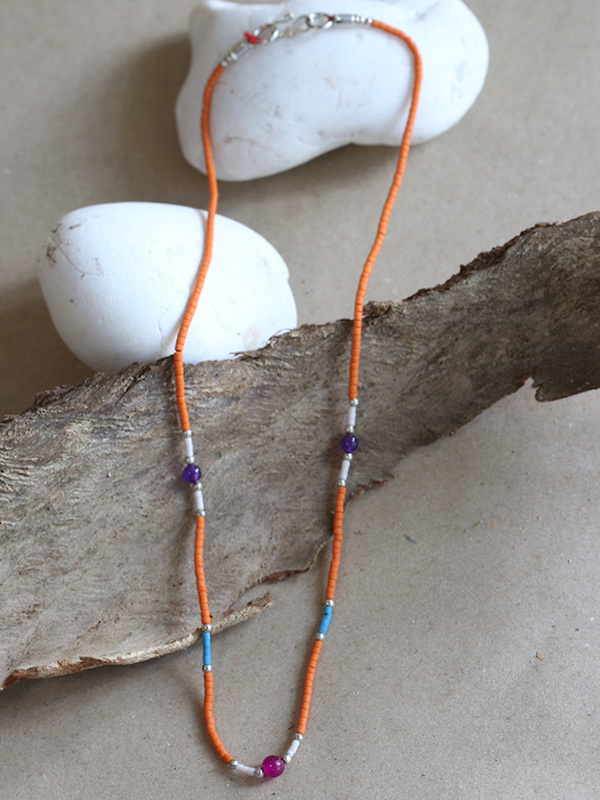 Artisan ceramic necklace with a fusion of orange and turquoise cylinders complemented by white metal baubles and a trio of purple agate orbs. This little necklace is very nice. I bought it to be a companion for another beaded necklace I have, and they look great together! 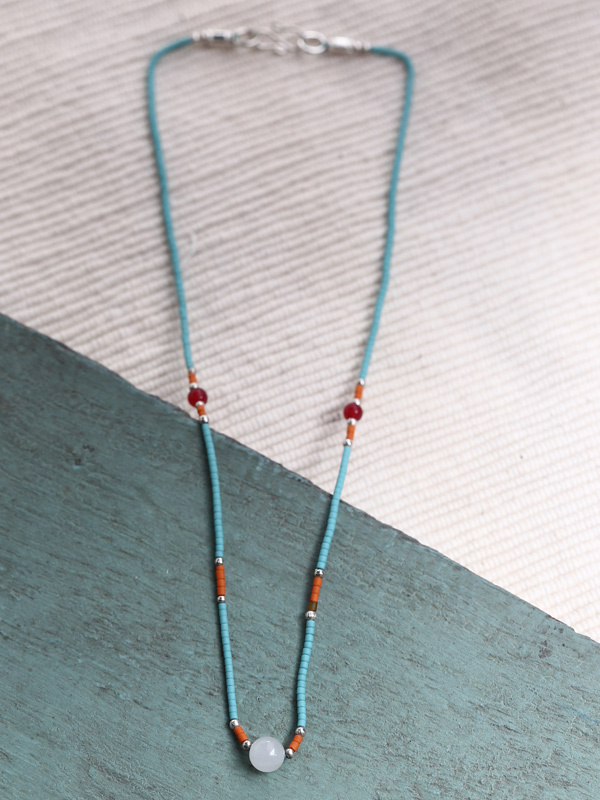 The colors in this necklace are terrific.